(1) Vidcund Curious and Bianca have a mutual understanding of each other, and therefore a strong camaraderie between them. 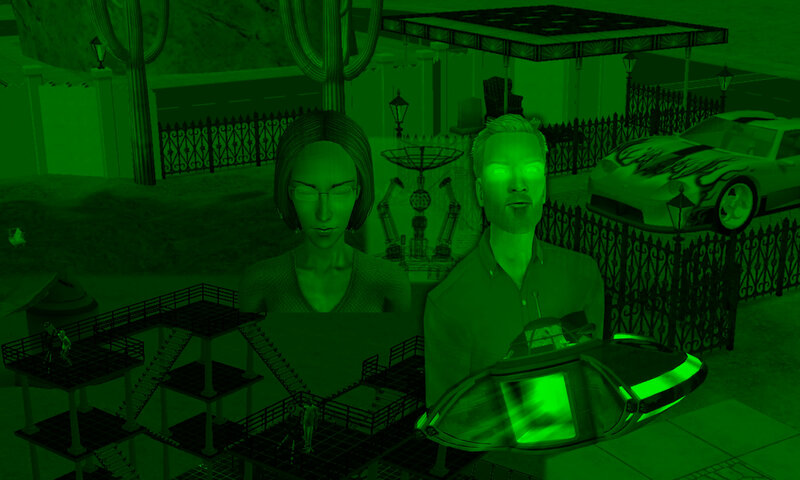 He’s more in tune with Strangetown than she is, but considers her still a part of the residency, now that she lives there. He serves as a bit of a guide for what she cannot understand and may need to in order to survive. Bianca regards him as legit enough to trust as he has not shown any signs otherwise. (2) At first, Nick Grimm seemed indifferent to Bianca’s presence, judging her on the account of Loner, but still somewhat friendly to her, nonetheless. He then actually worries for her when seeing her with the Beaker home. Bianca seems to initially take Nick as a “odd one who doesn’t ‘live with his family'”, but she regards him as a normal resident regardless. In #5, Nick’s situation causes Bianca to help him out, though it remains to be seen what would become of this. (3) To lose one’s mother effects the psychiatric level of one’s complexion is something I know too well. However, here is Ripp Grunt, the most gentle, laid back of the 3 sibs, who was just happy to meet someone who not only listened to his tale, but even offered a “sanctum” for the more stressing periods of his life. Bianca seems to sympathize with Ripp (though that’s not displayed so much), and acts like a big sister towards him in just offering him the needed escape.